Namaste Mari: Yums I love Greek! Hey everyone, I hope you all are having a good afternoon. 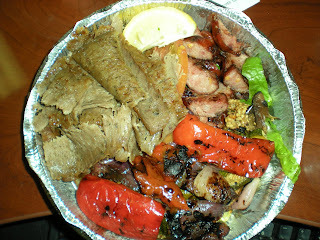 I ordered a gyro and lounkaniko platter with grilled veggies and it came with some sort of bean soup. I was not too fond of the sausage (lounkaniko) so I tossed it and just ate the lamb. 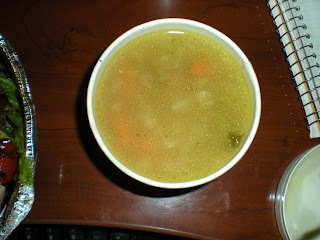 I also decided to save the soup for dinner. Testing, testing...1, 2, 4. LOVE your lunch! You are doing great with your workouts!! Sounds like a great lunch. 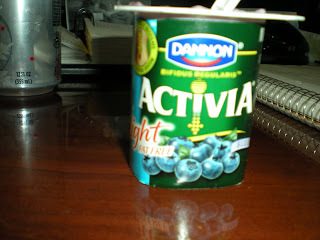 Yogurt for dessert? Wild woman!